In March 2018 I spent two weeks on an artists’s residency on the Isle of Skye at The Admiral's House, run by WASPS Artist Studios. Since my visit to Easdale Island I've been taken aback by how beautiful and varied and resourceful this marine plant is (did you know that Scotland recently started its first seaweed farm which could harvest seaweed for food, beauty products and even bio-fuel?). I didn't get quite that far (although I did make some seasoning from sea lettuce!) but spent two rewarding weeks on the coasts of Skye photographing the shores and collecting seaweed to create a series of cyanotypes and pressed prints. If researching seaweed and photographs of seaweed, you'll likely come across the name Anna Atkins. Atkins is known to many as the first female photographer and the first person to illustrate a book with photographs. I find that interesting enough alone, but what's particularly fascinating is that she was also a recognised botanist and botanicals, seaweed in particular, were her subject of choice. 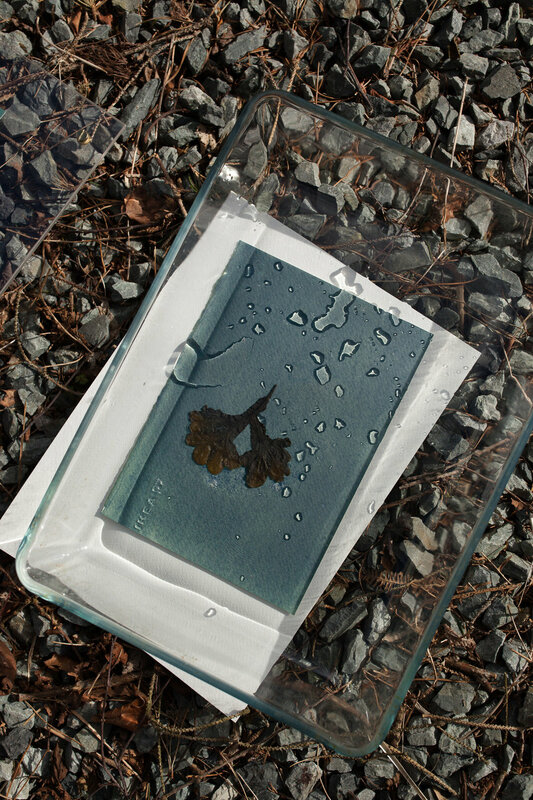 The process of creating a cyanotype is a relatively simple one. All you need is some paper and chemicals (or even pre-treated paper). Choose an object or negative to place on top and place in some sunshine. Wait, rinse and repeat. Some of the finished works from this stay can be viewed here. 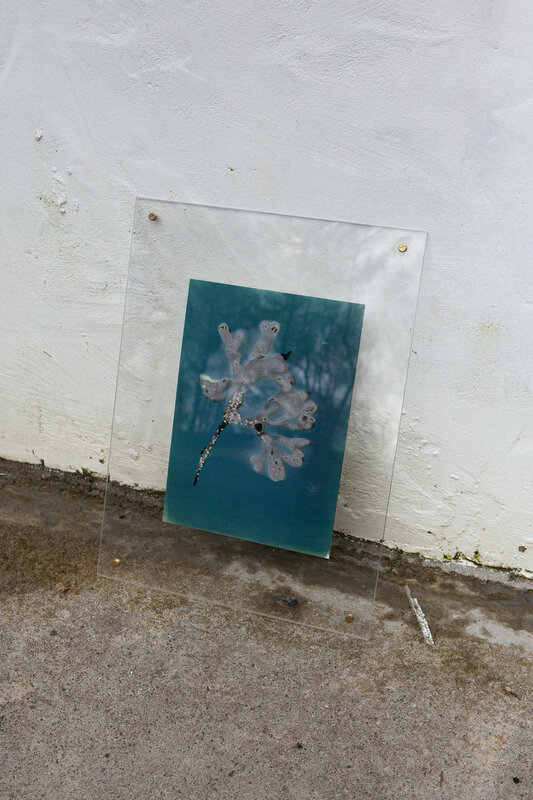 Seaweed on treated paper during exposure. Water placed on top of glass to create additional shadows. Careful with those IKEA markings.